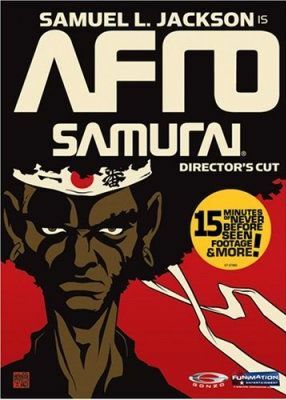 Inspired by the amalgamation of the hip-hop and Samurai genre of shows such as Samurai Champloo, Afro Samurai is a special collaboration between the animation studio GONZO, Samuel L. Jackson (who will play the main character) and manga creator Takashi Okazaki. Afro Samurai takes place in a futuristic version of Feudal Japan and tells the story of a black Samurai named Afro (a.k.a. No. 2). In this place only the world's strongest are capable of holding special headbands which gives the No. 1 holder power over the entire world. So here only the strongest survive, and many are willing to kill anyone in their path to win the right to the No. 1 Headband and the right to Godhood. Afro follows a dark path on the way to avenge his father's death (the previous No. 2) and fight Justice, the sinister dark swordsman now holding the current title of No. 1. However, Afro will face deadly opposition on his quest to defeat No. 1 and fulfill his revenge.